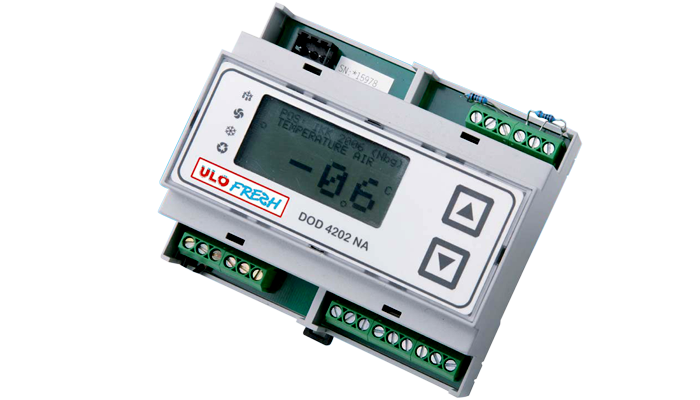 The DOD 4205 NP Series is a new generation of intelligent control system especially developed for the commercial and industrial refrigeration. The controller are designded for use in deep-freeze and chilling cabinets as well as for deep freeze and chilling cold stores. Relays (1 x change over for ALARM and 3 NO) : AC 250V, max. 5A ohmic, max 3A inductive, 300VA ind.